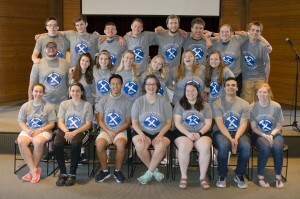 The Academy is a week-long summer experience designed to help high school students deepen their understanding of vocation and calling, explore ministry careers, and to develop as Christian leaders. 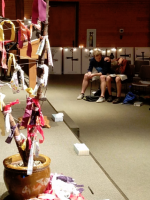 The grant is part of the Lilly Endowment’s High School Youth Theology Initiatives (HSYTI), which seeks to encourage youth to explore theological traditions and examine how their faith calls them to lives of service. Youth on the Way provides leadership training activities, intensive teaching of scripture and its historical interpretations, field trips to explore the intersection of faith and work, theological reflection, and worship to encourage deep consideration of God’s calling. “The Academy is for students entering 10th through 12th grade who are already leaders in their youth groups, who want to know more about how God is calling them to live out their faith in the world. 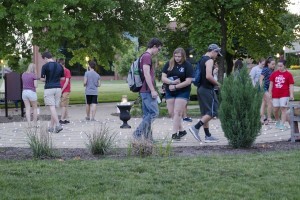 They may be thinking about ministry as a career, or they may simply be thinking about what it means to be a Christian leader in whatever profession they choose,” said Program Director Suzanne Nicholson, professor of biblical studies at Malone. Participants in the Academy are now working with a leader in their home church to develop and execute a service project to benefit the local community, as means to celebrate and reflect upon what they learned during their week on campus. 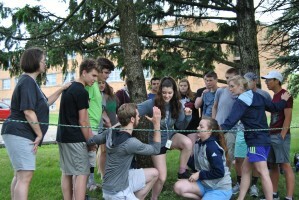 Current Malone students and recent graduates served as camp counselors (“Academy Guides”) for the week, modeling leadership and learning to their participants in all activities. The Youth on the Way Leadership Academy will return June 9-14, 2019. Church leaders and prospective participants can learn more by contacting Suzanne Nicholson, Ph.D. directly. Lilly Endowment Inc. is an Indianapolis-based, private philanthropic foundation created in 1937 by three members of the Lilly family -- J.K. Lilly Sr. and sons J.K. Jr. and Eli -- through gifts of stock in their pharmaceutical business, Eli Lilly and Company. While those gifts remain the financial bedrock of the Endowment, the Endowment is a separate entity from the company, with a distinct governing board, staffand location. In keeping with the founders’ wishes, the Endowment supports the causes of community development, education and religion and maintains a special commitment to its hometown, Indianapolis, and home state, Indiana.